Bears are proving to be plentiful again this summer in and around Whitehorse. Advocacy group Wildwise Yukon says a good way to avoid conflict is with secure garbage and compost bins. 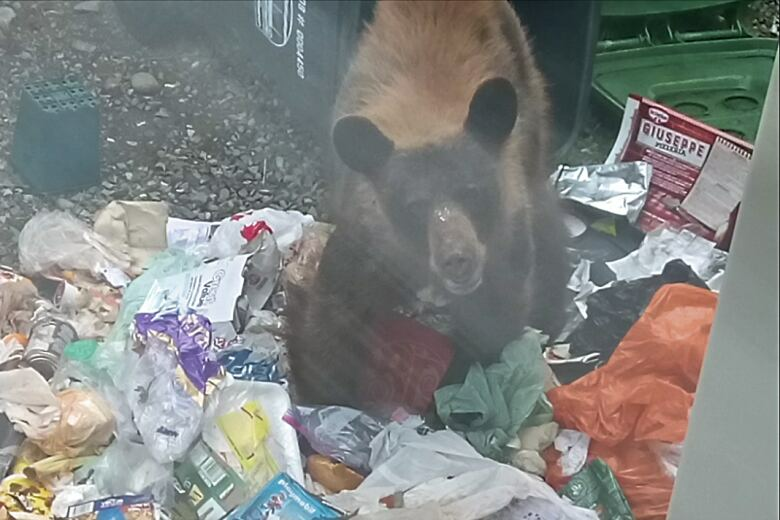 Bears are proving to be plentiful in and around Whitehorse again this summer, and one local advocacy group says the solution is for the city to adopt new bear-resistant garbage bins. With a population of nearly 30,000 people, the city has a lot of garbage and compost bins. Wildwise Yukon is a non-profit organization that's dedicated to reducing what it calls "negative human-wildlife encounters." Four years ago, it launched a project which saw clips being used on some compost and garbage bins. Wildwise spokesperson Heather Ashthorn says the clips work. "There was an incident just last week, or over the weekend, where people watched bears go down the street and tip over bins — and they couldn't get into bins that had the clips on," Ashthorn says. "But they did of course get into the ones that didn't. So that was a real affirmation for us." But most city bins don't have clips to secure the lids. Ashthorn says people should keep their garbage and compost bins in garages, if they can. She also says bins shouldn't be put out in the evening, but rather the morning of the collection. 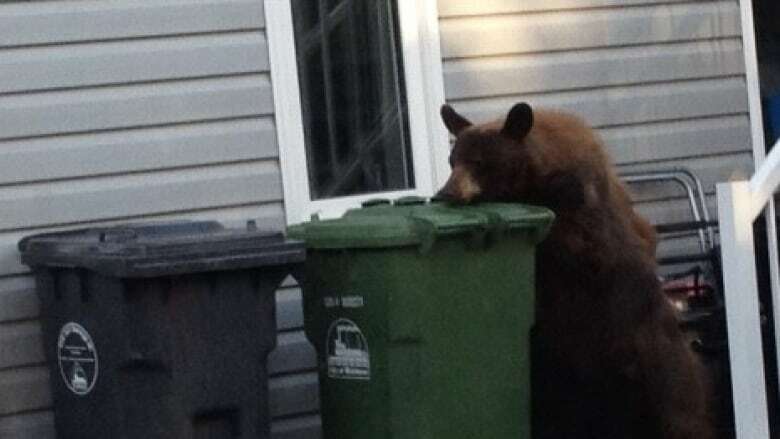 Ashthorn says bears can quickly learn that raiding bins can deliver tasty results. She adds those habituated bears are often the ones who wind up being destroyed. Last year, 63 bears were killed in Yukon because of human conflict. David Bakica, a Whitehorse-area conservation officer with Environment Yukon, says encountering a bear in the city is to be expected. "We can account for between six and eight adult bears within the city at any given time, on any given day. The great majority of those are 'non-conflict' bears that are doing natural bear activity," Bakica said. "So, you're never far away from a bear if you're within city limits of Whitehorse — probably never more than a kilometre, straight line, any given time." In May, the City of Whitehorse said it was buying some 900 new residential garbage and compost bins, mostly designed for the Whistle Bend subdivision. None of those bins are considered bear-resistant. Ashthorn urges residents to petition the city for change. "Really put some pressure on the city, on city council, to make a decision to replace our current non-bear-resistant bins with bear-resistant ones, and to invest in a good product that doesn't rely on consumer compliance," she said. Wildwise reminds people that bears need to put on a certain amount of weight before winter hiberation. "Usually in July and August, that's when the trouble starts to ramp up. They start to get a bit more desperate to get their calories in. They do have a quota — they need to put on a certain amount of weight to survive the next winter and to reproduce successfully," Ashthorn said. 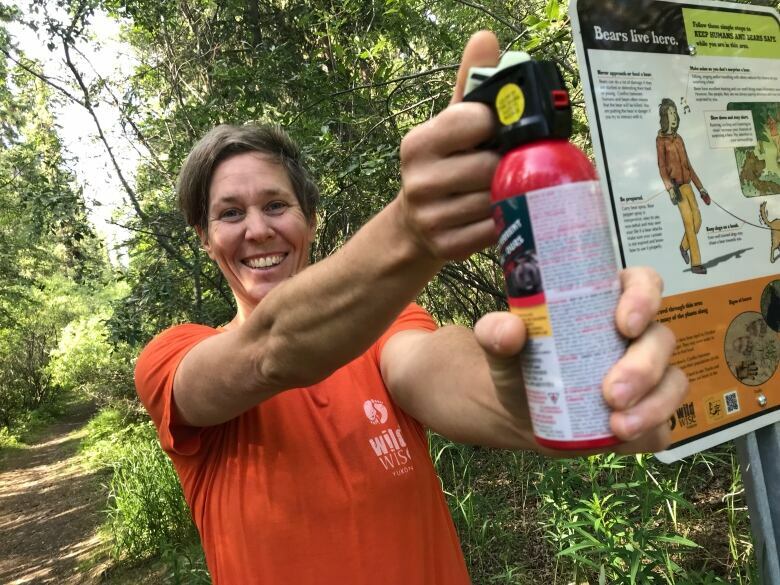 She says backyard attractants can include birdseed, dog bones and barbeques. She also says that people with backyard chicken coops would be wise to get an electric fence.